WordPress is the world’s #1 Content Management System. It’s easy-to-use, open-source, customizable, and flexible. It also comes with a huge repository of plugins and themes and wide community for support. These reasons are why it has a 59.5% market share for all websites with a CMS. However, as good and popular as WordPress is, it isn’t safe from hackers. In fact, more than 70% of WordPress installations are vulnerable to hacker attacks. That number is a lot to take in. And it makes the idea of using WordPress scary. So, do you run away and switch to another CMS? Not really. You just hang tight because you have the power to protect your WordPress site. As long as you follow necessary precautions, you can keep your site safe, secure and hacker-free. In this post, you will learn different ways on how to protect WordPress site from hackers. This way, you can keep it running without worrying about potential threats. 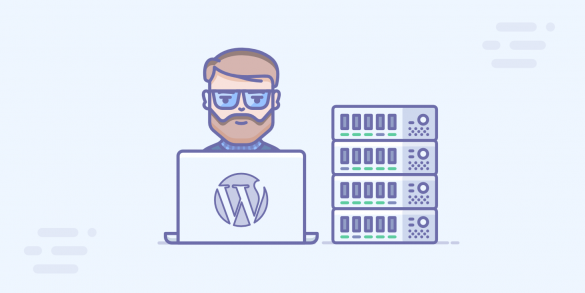 Like every other website, WordPress sites are hosted on web servers. And those web servers need to be highly secure. Unfortunately, not all web hosts offer the same quality of security, which is why hackers can get to you. To solve this, go for a provider like Kinsta’s Managed WordPress Hosting. It’s one of the most secure web hosting platforms for WordPress websites. The Google Cloud Platform keeps it running and it offers free site migrations. It also features a speed-obsessive architecture, high-security network, and an advanced infrastructure. Setting up your file permissions establishes the rules to control access to the files on your site. With inaccurate file permissions, a hacker can make changes to these files and change the way you access your site. Chances are, you’ll get locked out of your site, thus losing control of everything you’ve built up to that point! To work around this issue, use an FTP client like FileZilla. It’s an open-source software that can help take care of your WordPress site for you. Known for uploading and downloading files between local systems and web servers, the tool can also help you change file permissions and protect your data from unwanted guests. Using the latest version of WordPress for your site is a priority. If there’s a new copy of the CMS available, make sure to download it immediately. Each new version fixes security glitches! The most recent fixes tie up vulnerabilities that existed in the previous versions. Therefore, hackers can no longer exploit these insecurities in your WordPress site as the updated version has addressed them already. The same goes with plugins and themes. Updating them is how you can protect your WordPress site from hackers. If they’re not up to date, they put your site at risk. I think we can all agree that, if a hacker knows the password to your site, you’re screwed. With a password, a hacker can access your admin, CPanel, and FTP accounts. And he can make significant changes to it. For all you know, you can never access your site again once he gets his hands on your password. Therefore, create strong passwords using a plugin such as Force Strong Passwords. It duplicates the password strength check and forces all users with executive privileges on your site to create strong passwords. It’s also free to use! 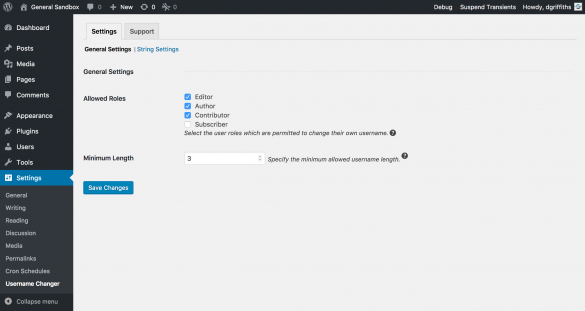 The WordPress admin area is where you can perform different actions on your site. For this reason, it’s the most commonly attacked place. So keep your admin area at a safe space with a plugin like Protect Your Admin. It works by letting you customize your admin area URL and blocking default links. Most web hosting providers give you an option to connect using SSH, SFTP, and plain FTP. Go with either of the first two options and steer clear from plain FTP. Insisting on using plain FTP threatens your security by letting you send your password to the server without any form of encryption. Using ‘admin’ as a username puts your site at great risk. Bots, which constitute a large percentage of hacking attempts, are one step away from getting inside your website. And it’s only a matter of time until they figure out the other gateway pass: your password. You can use the phpMyAdmin feature or add a new user to replace the old one. You can also use a plugin like Username Changer. It’s an open-source software that overrides the WordPress default setting that doesn’t allow you to change your username. If you want to sustain a professional WordPress website, then you need to cover all your bases against online threats. 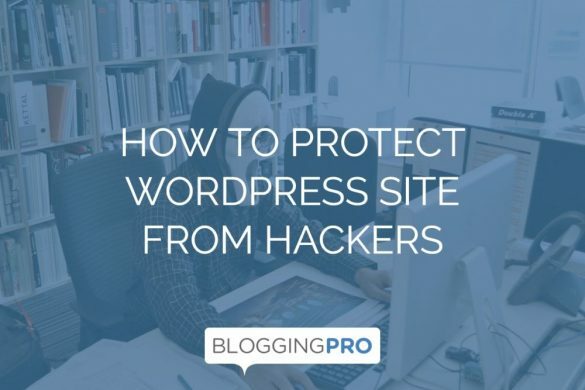 Even if you’re just starting out, raising your WordPress site’s guard should a high priority, especially now that hackers are getting more and more persistent. While you don’t have total control of a hacker’s abilities, applying the precautions mentioned above will make his life difficult. They may even discourage him from trying to break in. lHope you are doing well. Here comes a bit belated New Year Wishes. Coming to this post, it is indeed a timely post, security of our sites is an important thing to make note of and take actions. I am sure some of the outdated plugins and themes sometimes create troubles to our sites, as you said we need to Always update plugins and themes. I am bookmarking it and will share with my social sites as well as content curated sites too. Have a wonderful and profitable week ahead.